What is the Rock of Gratitude? 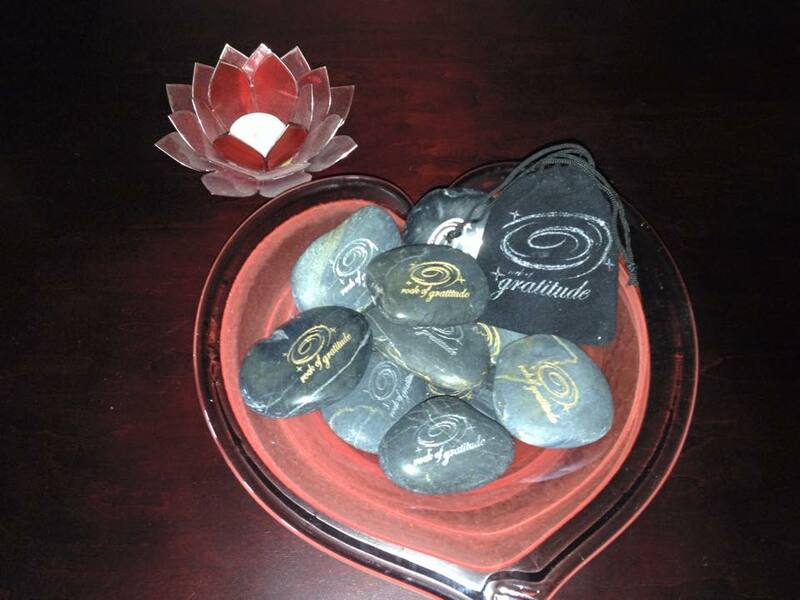 The Rock of Gratitude is a river rock that is engraved with the logo and the words "Rock of Gratitude". Each rock is 2-3 inches in diameter, either with an oval or round shape and engraved with your choice of silver or gold on a polished or natural black river rock. They come packaged in a small pull-string pouch ready for your daily affirmations of gratitude. Each Rock of Gratitude is individually unique. Nature has a way of designing everything as unique and one of a kind. There may be markings on the rock that nature created; that is normal and makes your rock your own. The pictures of the rocks on this website are images of one rock, the rock you receive will not be exactly as pictured.